Heir research and investigative firm specializing in locating missing and unknown heirs for government agencies, attorneys, title companies and banks. Residential Real Estate Appraisal and Consulting Services. 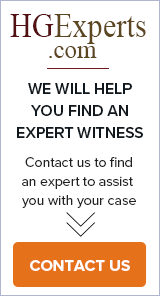 Expert testimony is all areas of residential property in Los Angeles and Ventura County. Dr. Linton Mohammed is a forensic document examiner and handwriting expert with over 25 years of experience in criminal and civil cases. Testified more than 100 times. Certified by ABFDE, Inc. Based in the San Francisco Bay Area serving clients in California, US, and internationally. Harvey E. Morse, P.A. / Locaters International, Inc. Expert witness for testimony in the areas of fiduciary duty, real estate, and oil and gas (energy) including trusts, estates, corporations and partnerships in the Texas court system. 38 years experience as a banker, lawyer, consulting and testifying expert in the Houston, TX area.